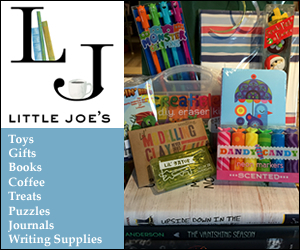 Check out these great new story times at Little Joe’s Books in Katonah. Preschool Story Time. Tuesdays at 11am, Boredom Buster story time. Come in for a book, a craft, a visit. We’ll be doing something new every week and encourage you to bring your little ones in for the fun! Big Kid Story Time. Thursdays at 4:30pm with Miss Kathy. Ages 3+ please.